For Dry Hair: If your hair is naturally dry, try to find oil that can be soaked up by the strands easily. This way, the natural moisture of your tresses will be locked and you will get rid of unmanageable, frizzy hair. Make sure that the oil doesn’t only sit on the top of the hair and make it greasy. Best Choices: Almond oil, virgin coconut oil, extra virgin olive oil, etc. Use them individually or in a combination. For Oily Hair: If your hair is naturally oily, opt for something lightweight that will take great care of the split ends of your hair instead of increasing the oiliness of your scalp. It should not be stronger than the natural oils or sebum produced on our scalp and only a little amount is enough to give you healthy locks. Best Choices: Jojoba oil, argan oil, Moroccan oil, etc. Individual application of these oils is sufficient. For Dry Scalp: A dry and itchy scalp needs adequate hydration for keeping the moisture balance intact. Get a highly nourishing as well as moisturizing oil that can be used as a topical treatment. Best Choices: It can be any natural oil of your choice. For Flaky Scalp: If you are suffering from flaky scalp or acute dandruff, pick a thick rich hair oil that will keep the flakiness away and offer great anti-microbial solutions. Best Choices: You can opt for coconut oil for this purpose. For Oily Scalp: Just like oily hair, oily scalp also needs a non-sticky oil that is light on the tresses. Best Choices: Argan oil will be the most effective option for it. For Fine Hair: If you have fine hair, try to find out an oil that is absolutely light on your scalp. It will not weigh down your hair and hence, your locks will not look limp. Such oils will also offer excellent nourishment to each of your hair strand. 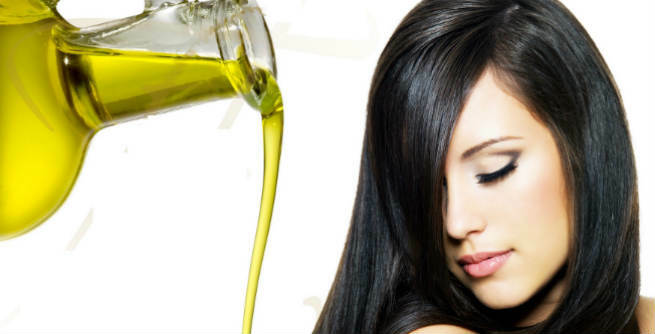 Best Choices: Extra virgin olive oil and avocado oil are the best friends of fine hair. For Thick Hair: If you have thick coarse hair, you need something thicker to keep the strands under control. A rich hair oil will help you manage your thick frizzy hair and make it smooth as well as soft. Best Choices: Go for coconut oil and grapeseed oil to keep your thick hair healthy and beautiful. Apart from these, you should also consider your budget while purchasing an oil for your hair. The ingredients of the oil may also cause significant differences.